August 2017 MOOD BOARD Challenge-WINNERS!! I found this Mood Board at Pinterest. I love the variety of color choices. Many different images are pictured here that I hope you'll find inspiring. Please state what 'particular thing or things' inspired you PLUS use some PAINT. 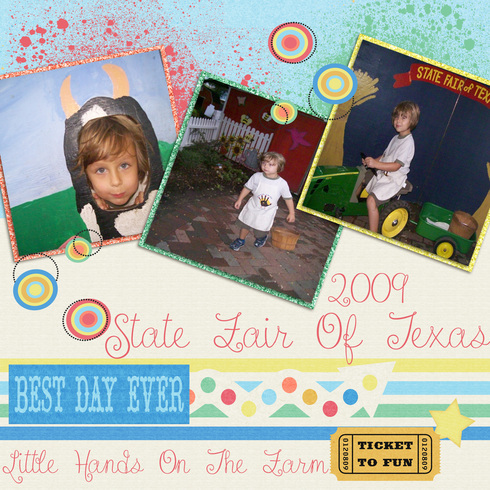 This can be a paper or digital layout, pocket page, or card. All work must be new. You may do this multiple times. You may combine with one other challenge that allows that. Please link your work here. Deadline is August 31st, 2017. A random winner will be selected for a $5 ACOT gift card from me! If there are more than 15 participants I will draw a second name for a RAK too. Thanks to all those who participated this month! Congrats Donna! Please pm me your name and address so I can get your RAK in the mail. Last edited by Deanna13 on Fri Sep 01, 2017 3:56 pm, edited 8 times in total. I love this mood board! Very inspiring! Especially with the paint aspect! Beautiful colors, lots of choices for inspiration! Thanks, Deanna! This board reminds me of a Pink Fresh line. Lots of good ideas on this board. Such a cool challenge! I hope I can find some time to play! I was inspired by the paints. Also, the letters and numbers reminded me of school. Combined with Pinterest. Here is mine, what inspired me was the circles, so I add the border with the circles on it and added some more round elements (flairs and wood buttons) and the colors on the picture of the paint brushes reminded of the background paper I used. 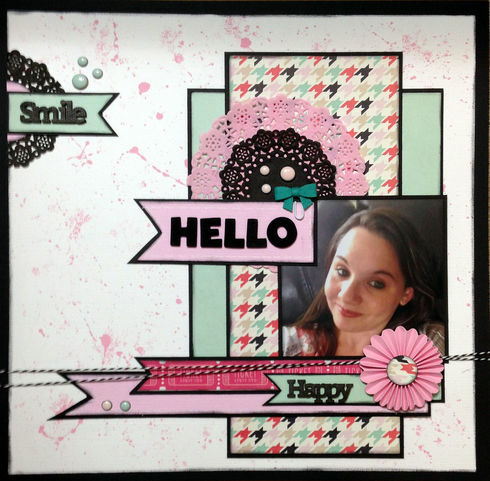 For the Mood Board Challenge I was inspired by pinks, aqua and black along with the word hello. I used pink paint splatters and painted the pinwheel pink. I combined with the Pinterest Challenge. Here's mine, I used the colors as my first choice, but I love those baby kitty faces on the white, so I made paper with the sample you provided and Bazzill cardstock. LOVED this choice! And there's yellow paint droplets all over the page, along with some enamel dots. I really love the colors you have and all the choices! Thanks Deanna! 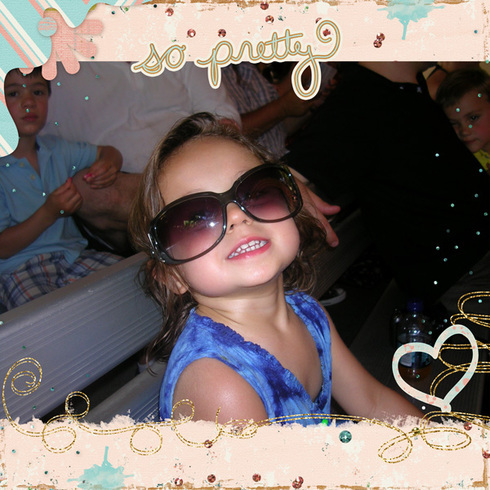 Wonderful school page, Melissa! I LOVE your stencil work and the misting! Great work with the August Mood Board and so much for participating! Donna_Coughlin wrote: Here is mine, what inspired me was the circles, so I add the border with the circles on it and added some more round elements (flairs and wood buttons) and the colors on the picture of the paint brushes reminded of the background paper I used. 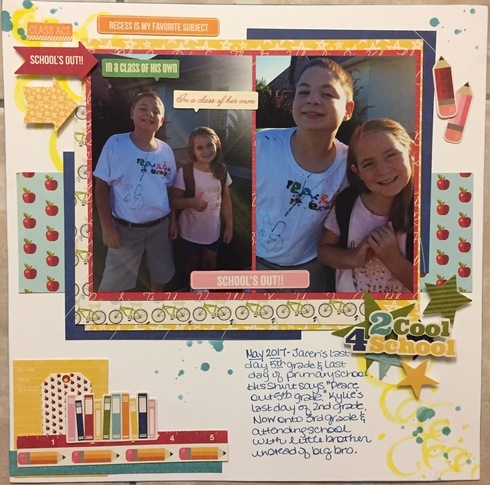 Beautiful work with the Mood Board and Sketch Challenges, Donna! Thanks so much for participating! tmp718 wrote: For the Mood Board Challenge I was inspired by pinks, aqua and black along with the word hello. I used pink paint splatters and painted the pinwheel pink. I combined with the Pinterest Challenge. Beautiful color combo and love your layered design with all the black matting! Great use of the doilies too and love your misting! 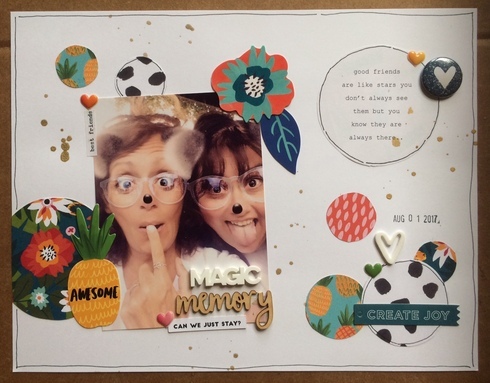 Thanks so much for participating in my August Mood Board Challenge, Tammey! 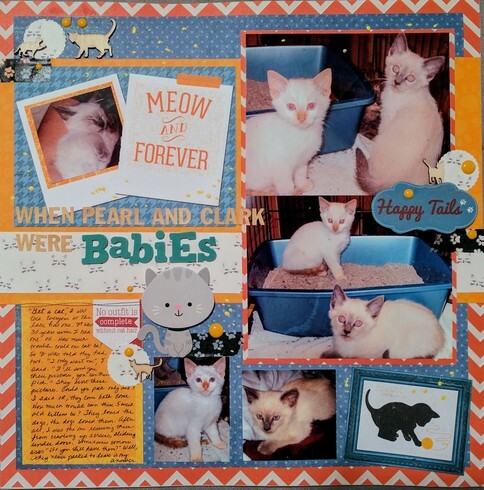 sherelm wrote: Here's mine, I used the colors as my first choice, but I love those baby kitty faces on the white, so I made paper with the sample you provided and Bazzill cardstock. LOVED this choice! And there's yellow paint droplets all over the page, along with some enamel dots. aawww...how sweet this is, Sher! Great work with the Mood Board colors along with all the paint splatters! I love your title along with the enamel dots and kitty accents! Thanks so much for participating in my August Challenge! LOL...cute photo, Carrie and love your design with all the circles and misting! Wonderful work with the August Mood Board and thanks so much for playing along! I used the colors for my inspiration. EmtAimee734 wrote: I used the colors for my inspiration. 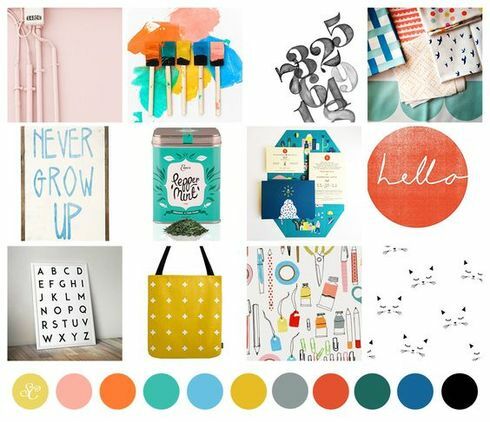 Nice work with the Mood Board, Aimee! I especially love your misting! Thanks so much for taking my challenge!